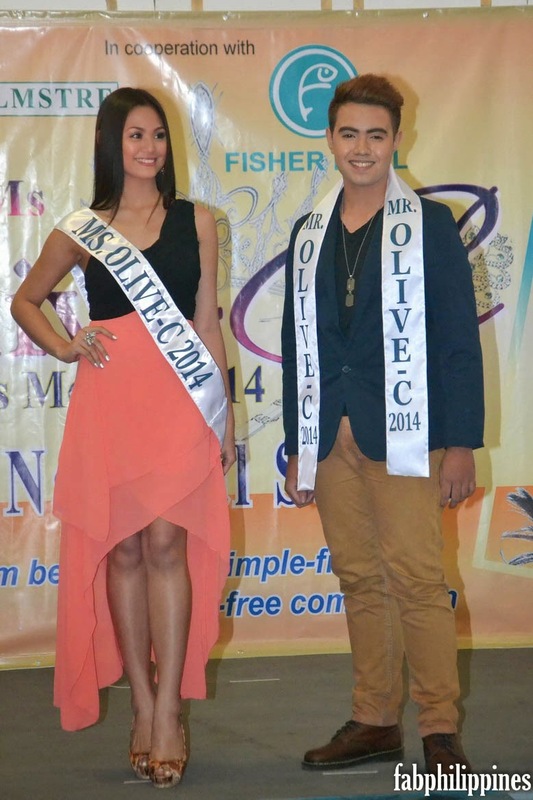 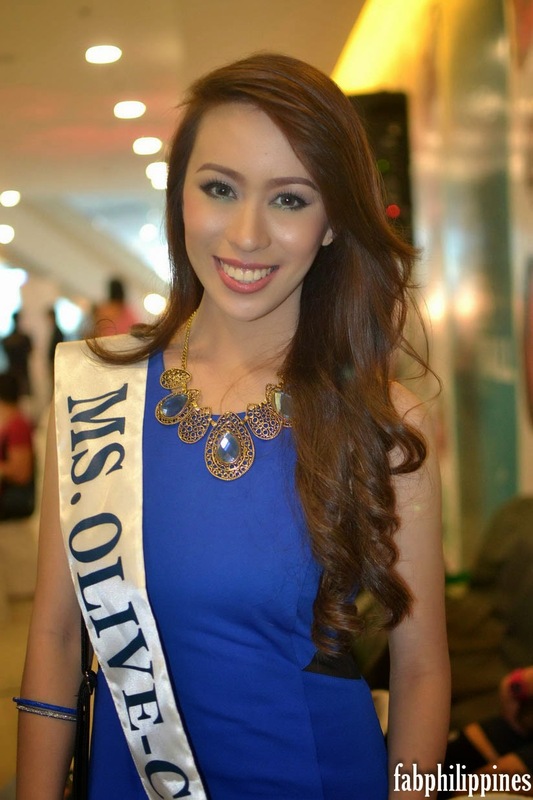 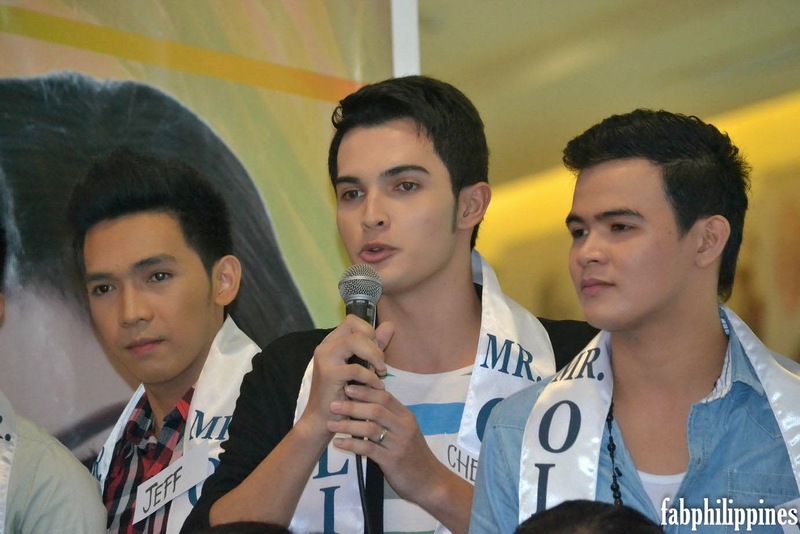 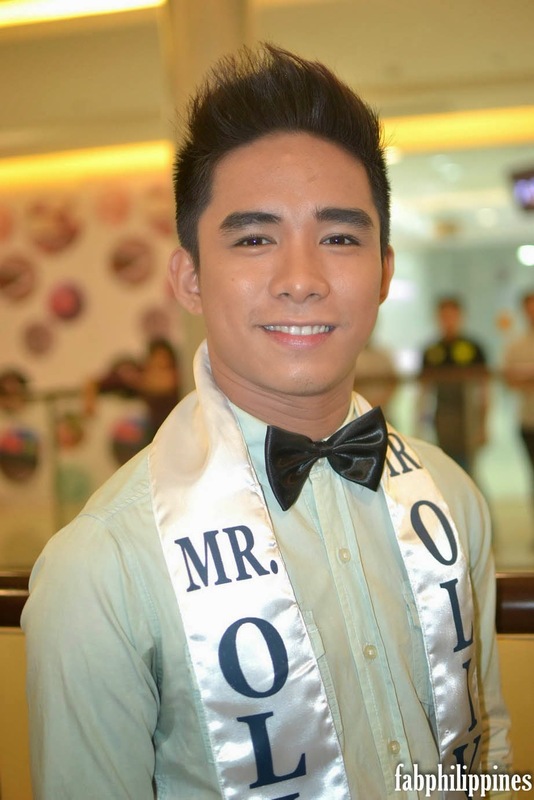 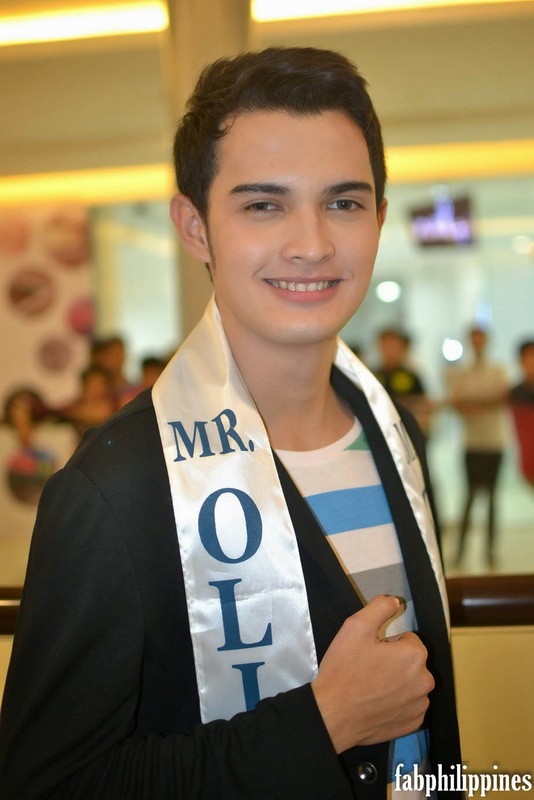 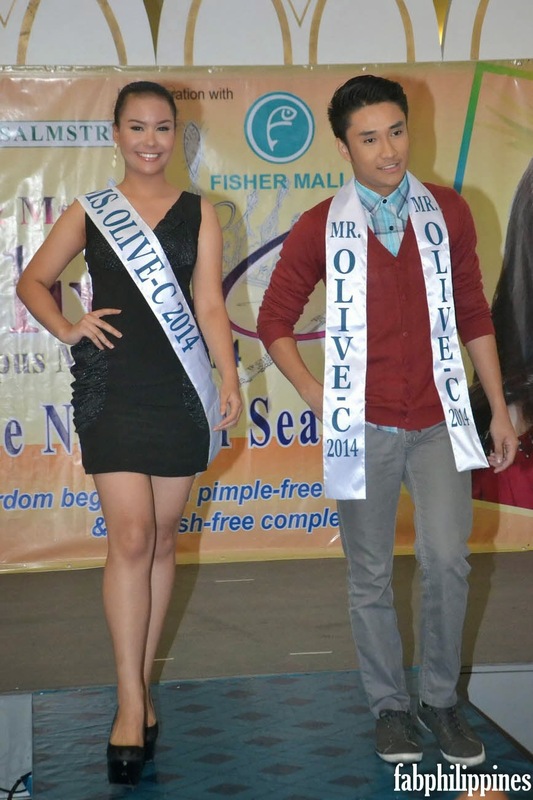 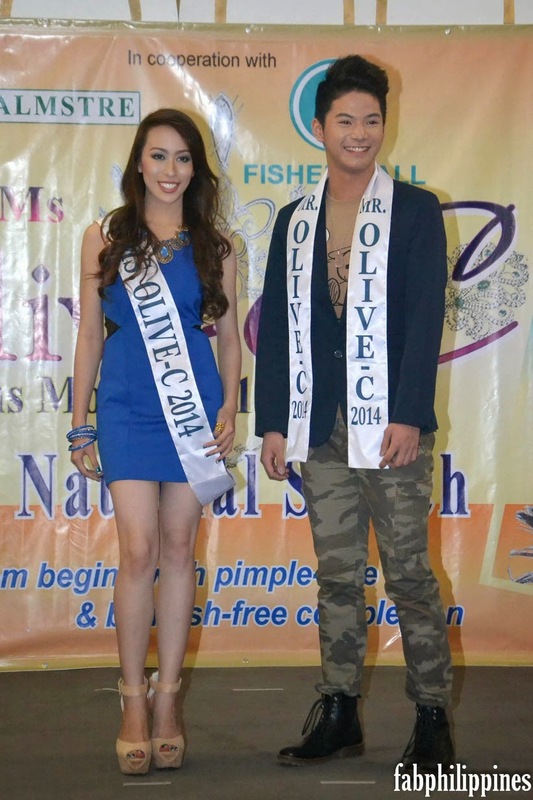 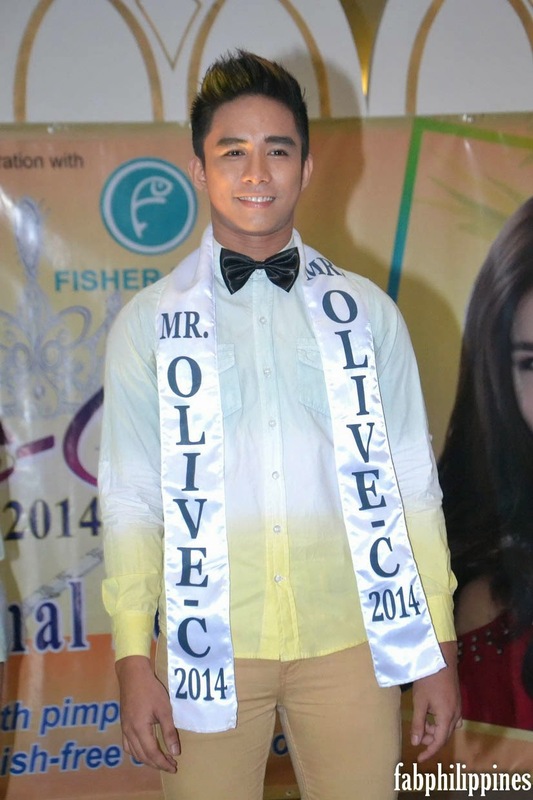 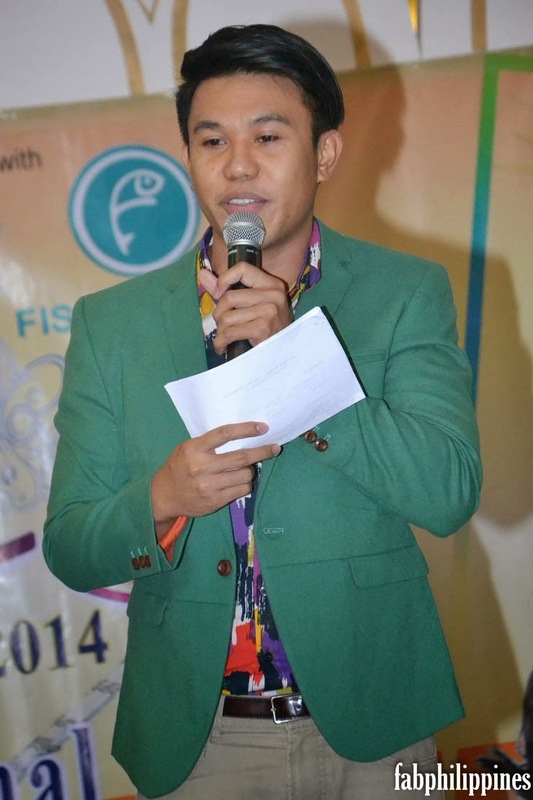 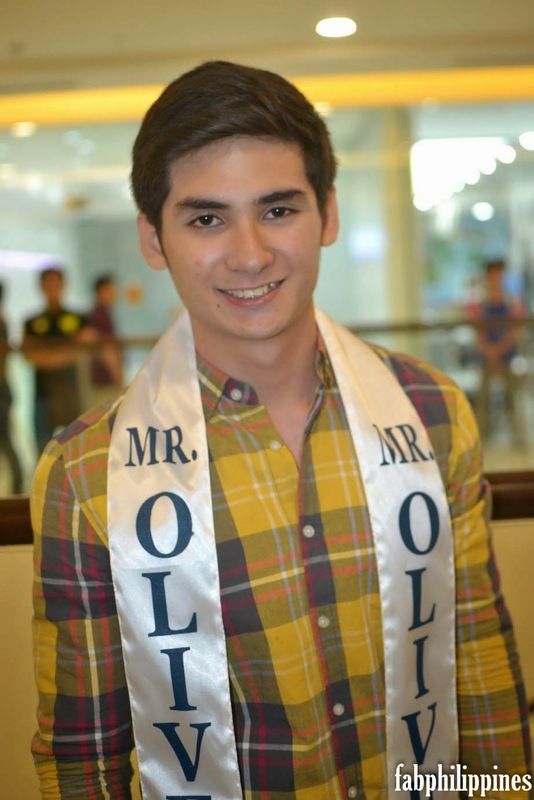 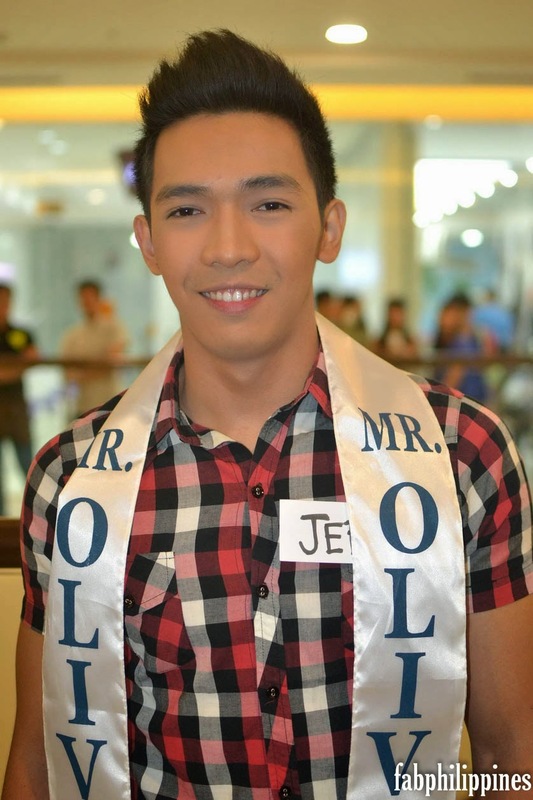 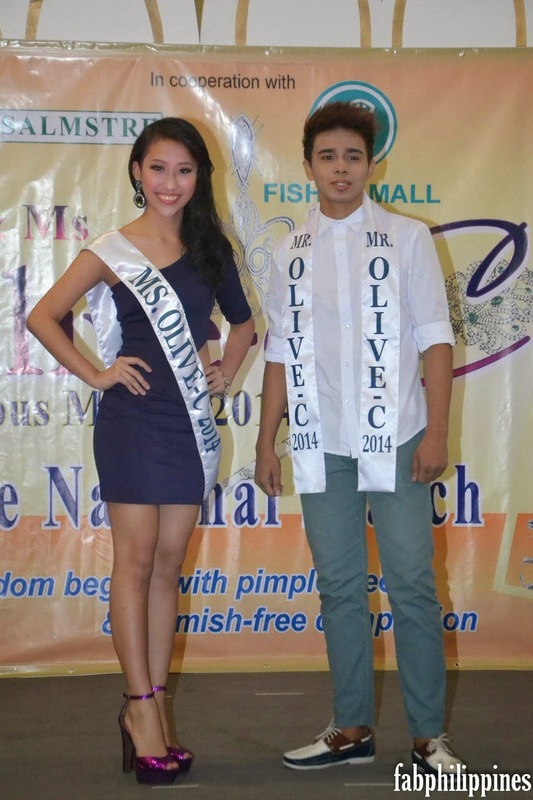 The Candidates of the Mr. & Miss Olive-C Campus Model Search 2014 were officially presented to the members of Media, VIP Guests and Pageant Aficionados during the Press Presentation held last Saturday, April 12, 2014 at the newest and trendiest shopping destination in Quezon City today, The Fisher Mall located at the corner of Roosevelt and Quezon Avenue. 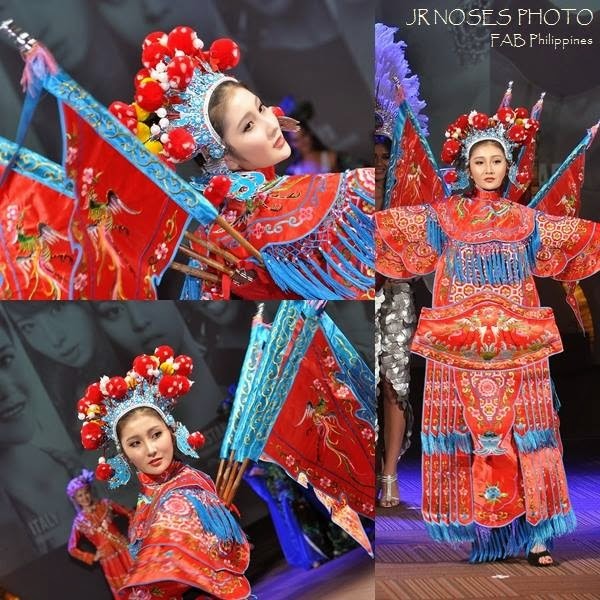 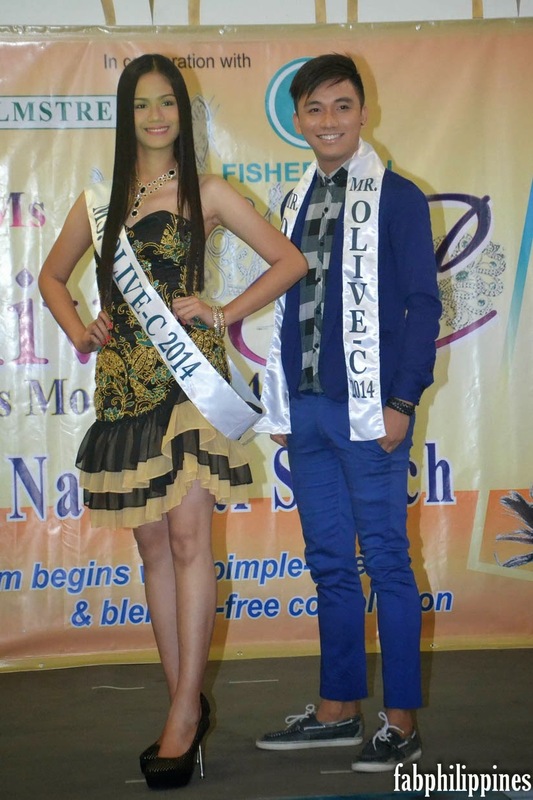 With their electrifying energy and captivating looks, the twenty-six young individuals coming from all over the country, displayed their stunning looks and charm in front of the flashing cameras and scrutinizing eyes of media, pageant bloggers and pageant sponsors. 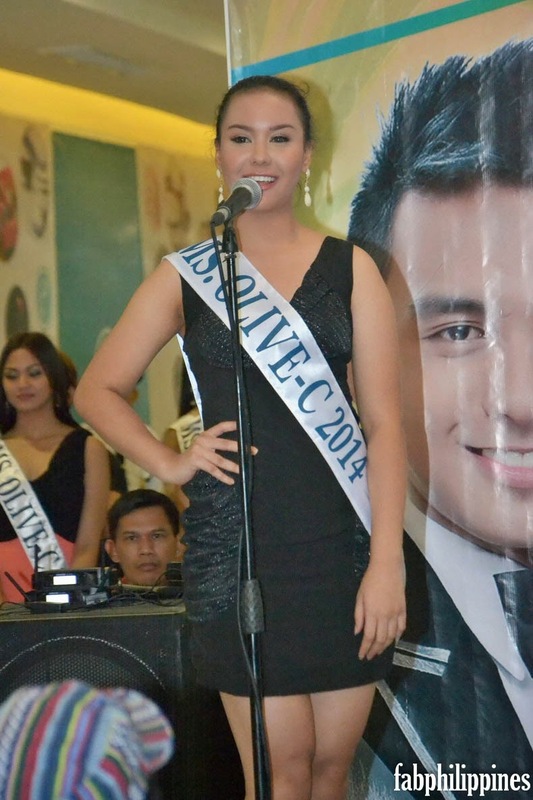 The Candidates of this year’s search have been undergoing intense training on personality development, modeling, product orientation and how to handle pageant interviews by the press people. 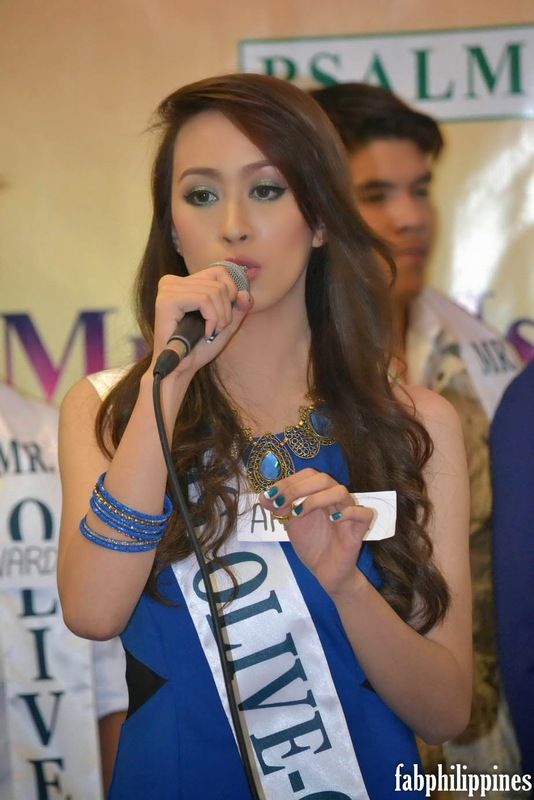 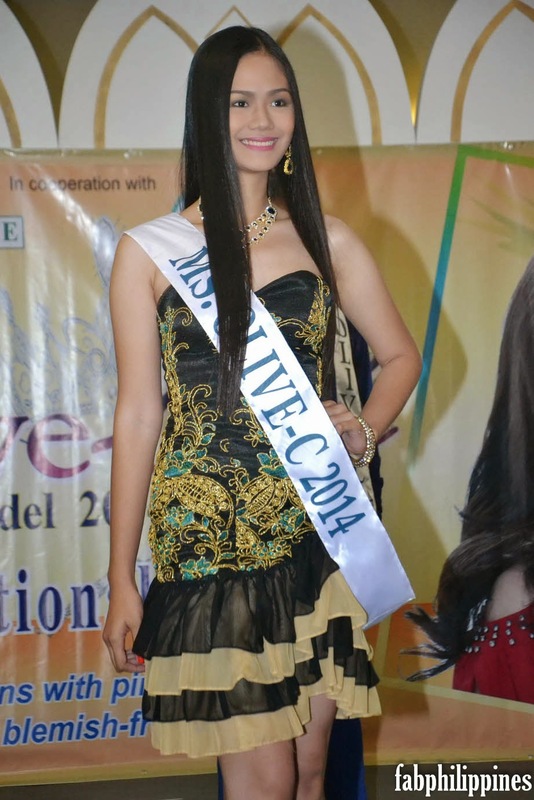 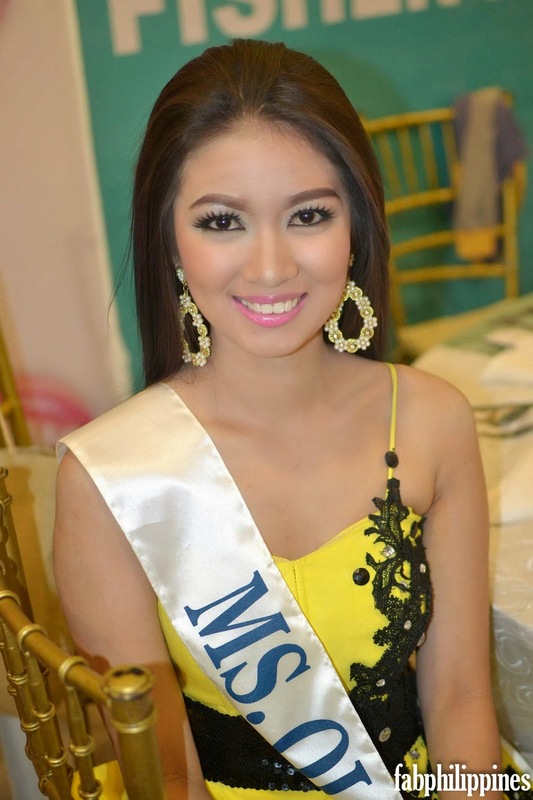 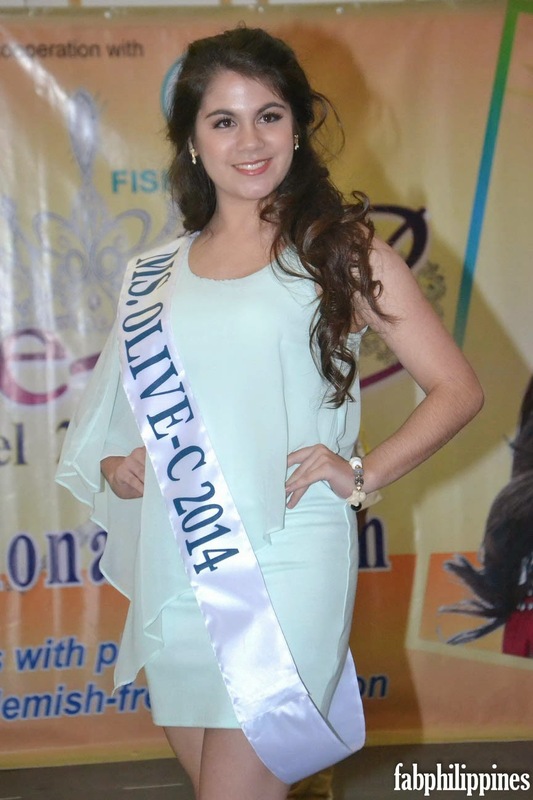 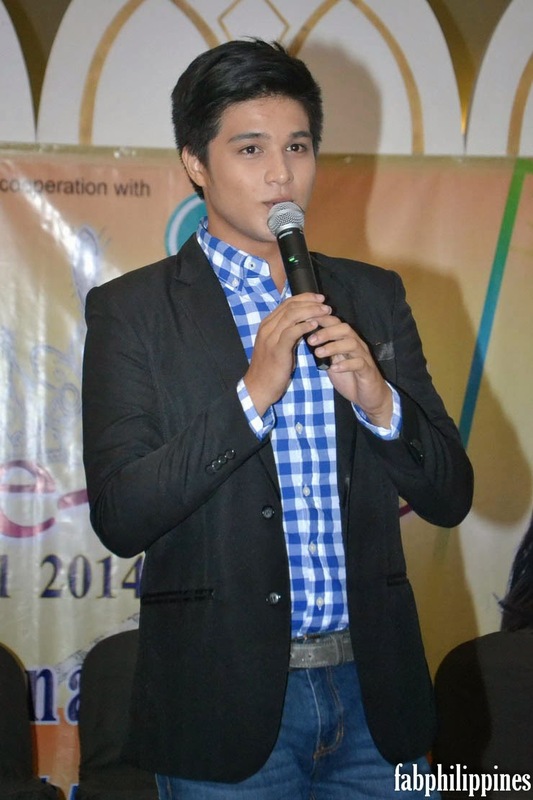 The Official Press Presentation is one of the many pre-pageant activities that the candidates are keeping busy with, other events such as Festival Costume Competition, Talent Night, Summer Wear Presentation, Fashion Shows, Grand Santacruzan, TV and radio Guestings and Sponsors Visit are lined-up leading to the Grand Coronation Night on May 30, 2014 at The Skydome of SM North Edsa. 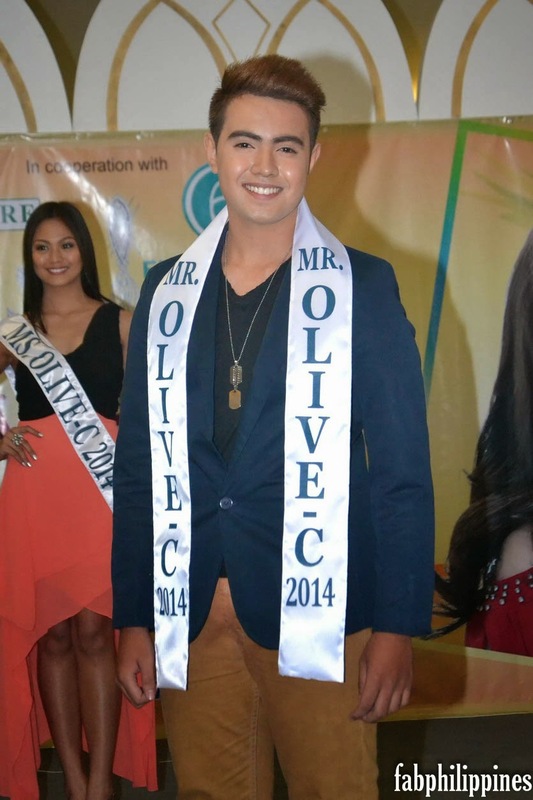 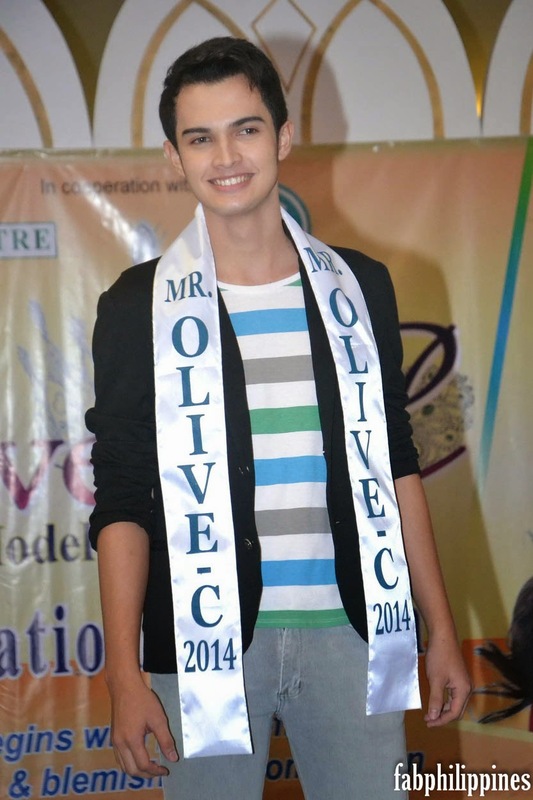 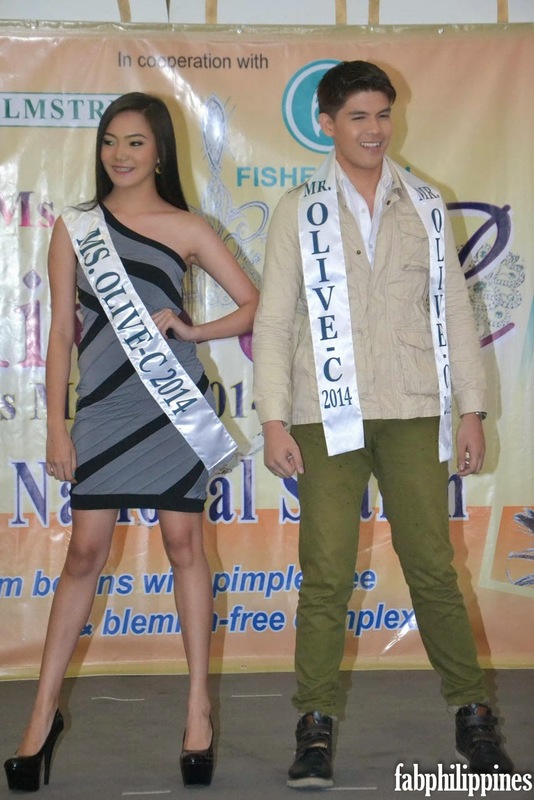 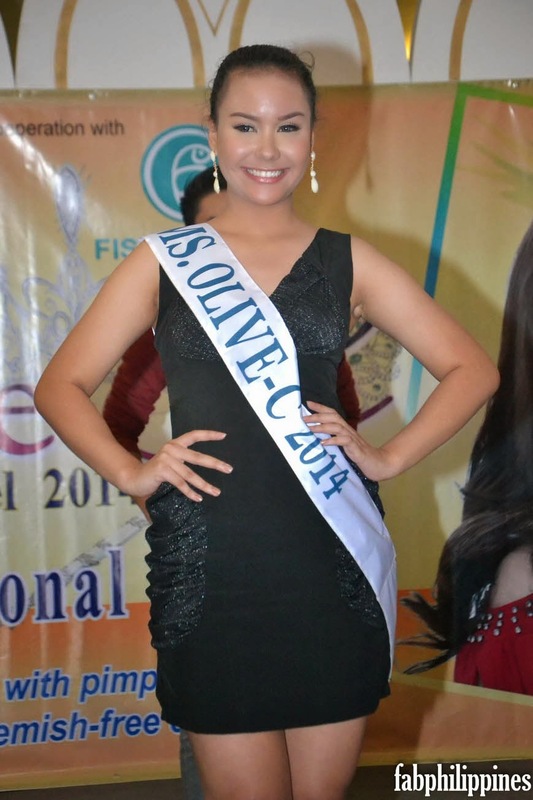 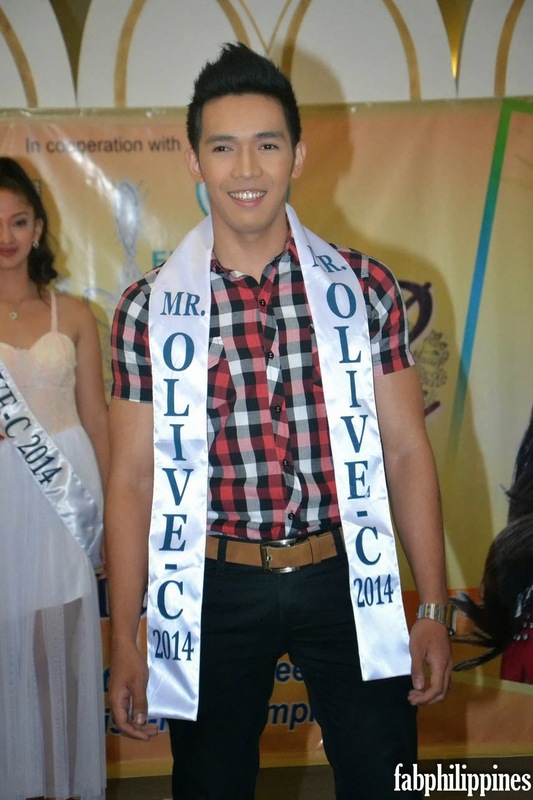 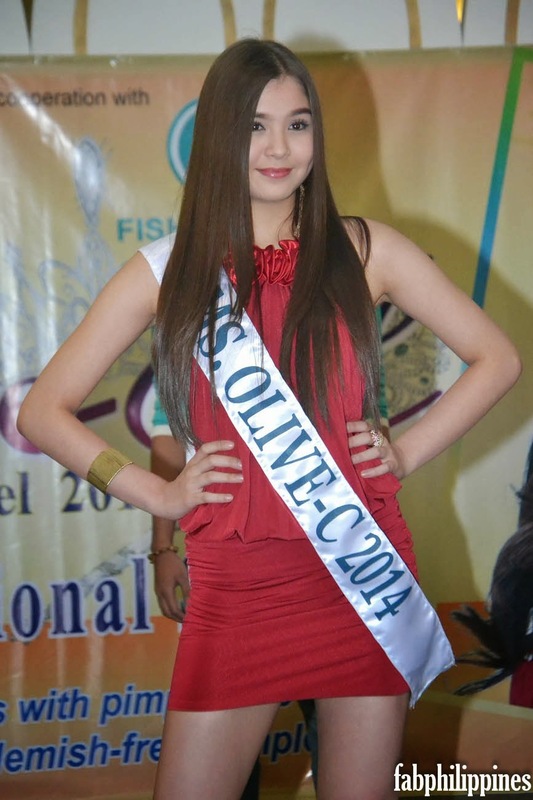 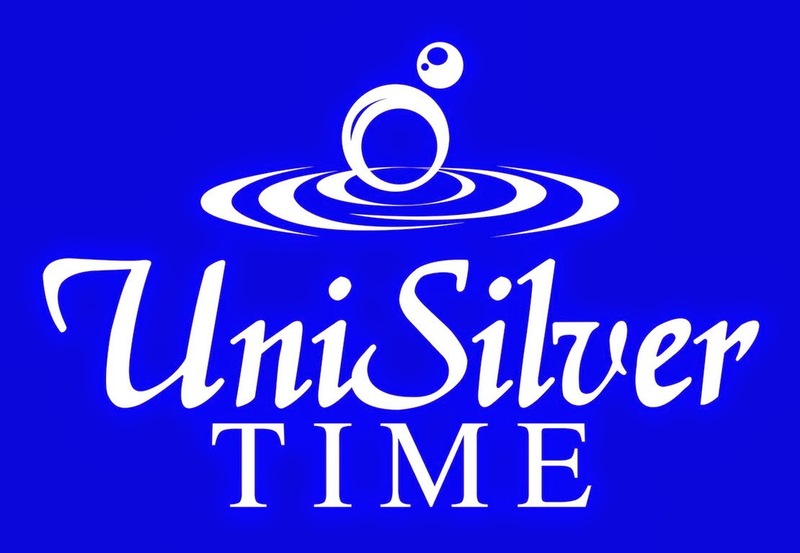 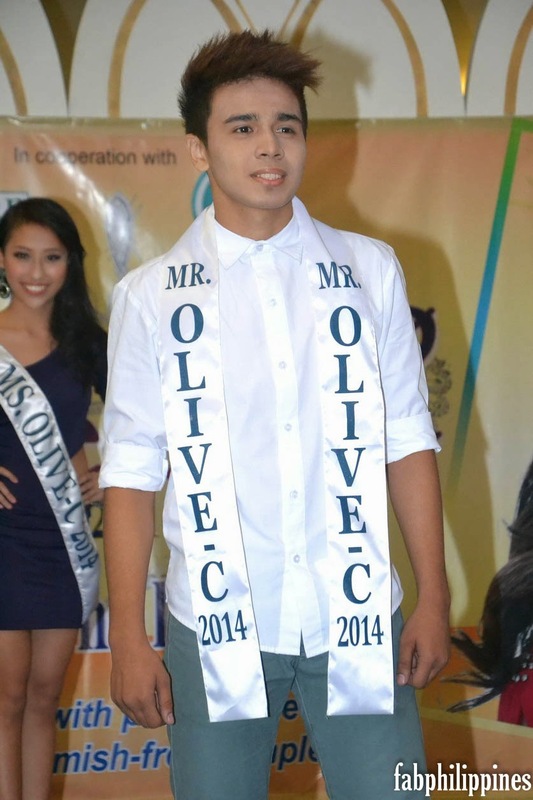 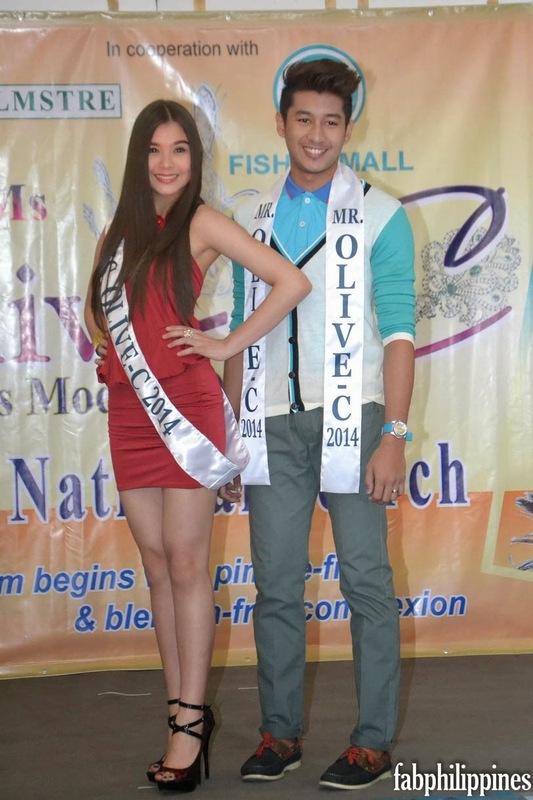 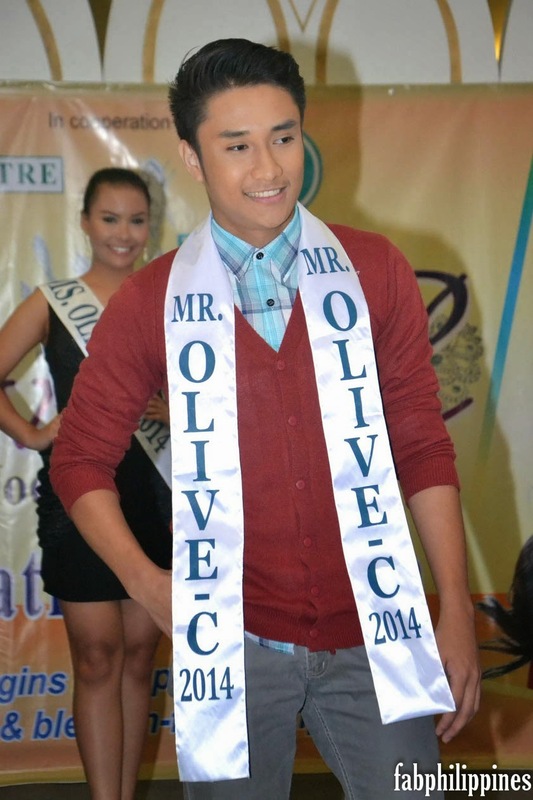 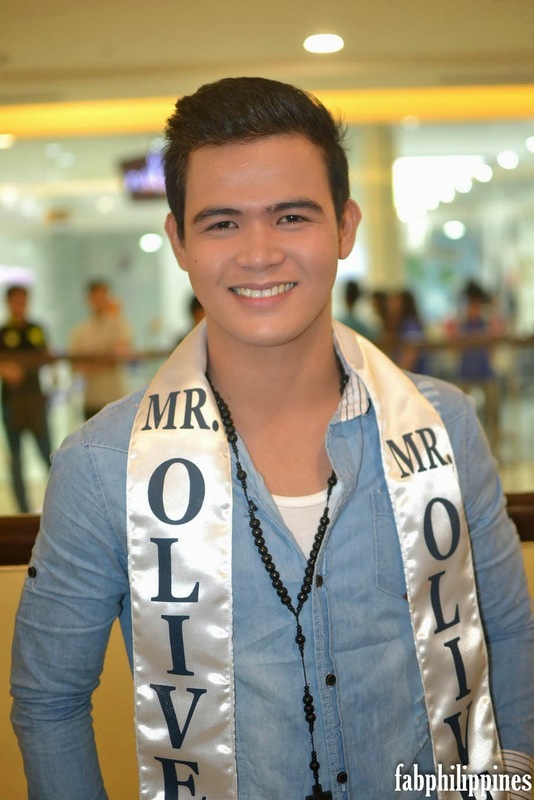 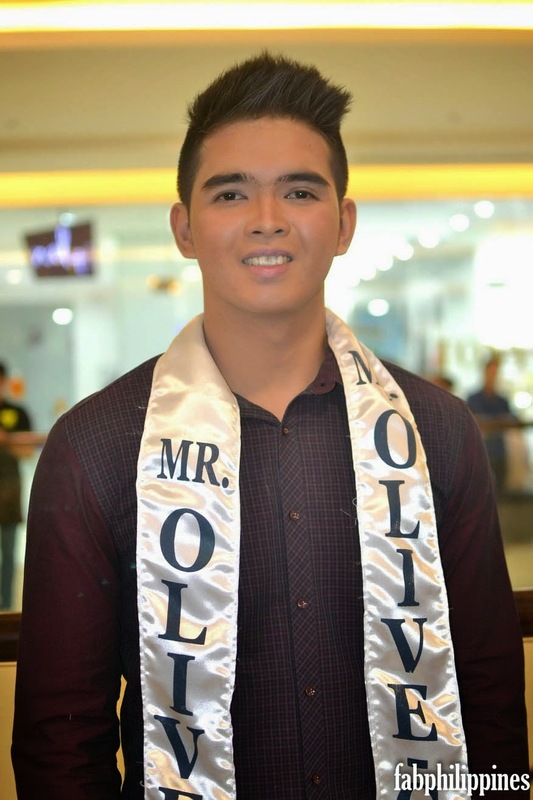 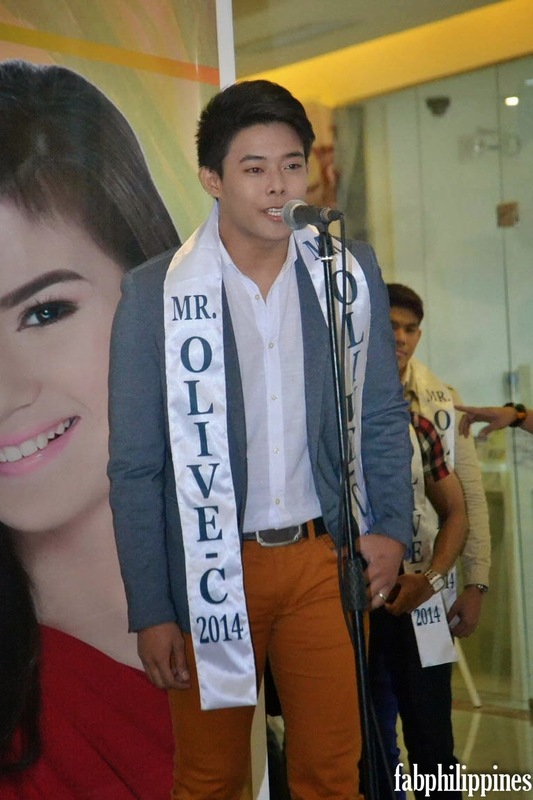 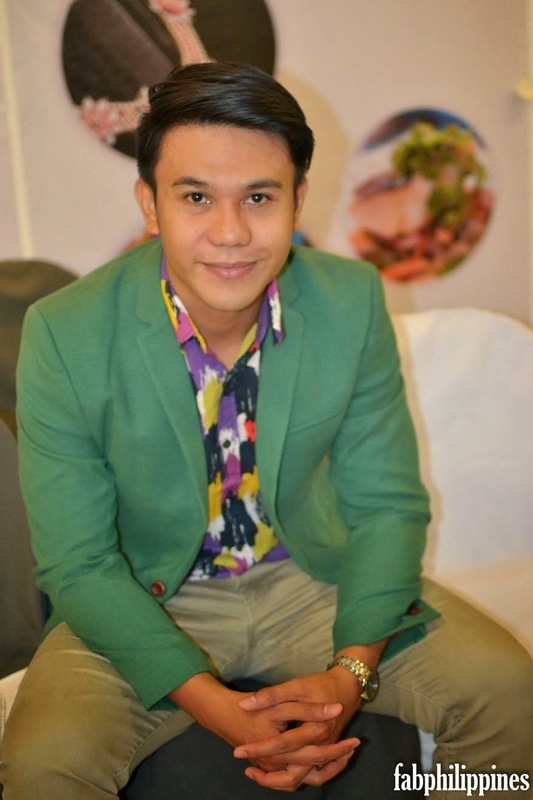 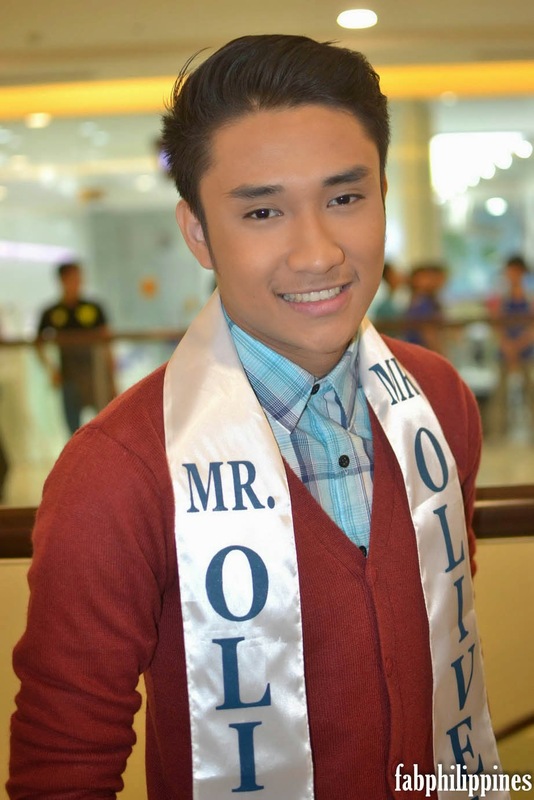 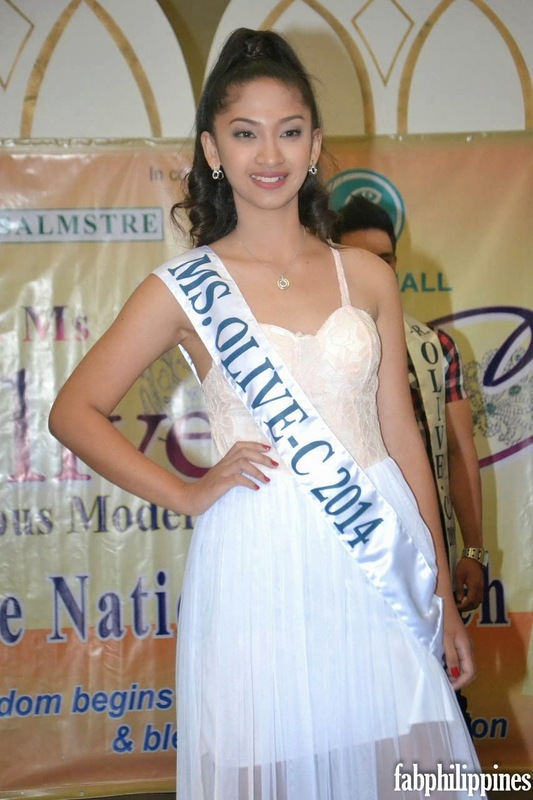 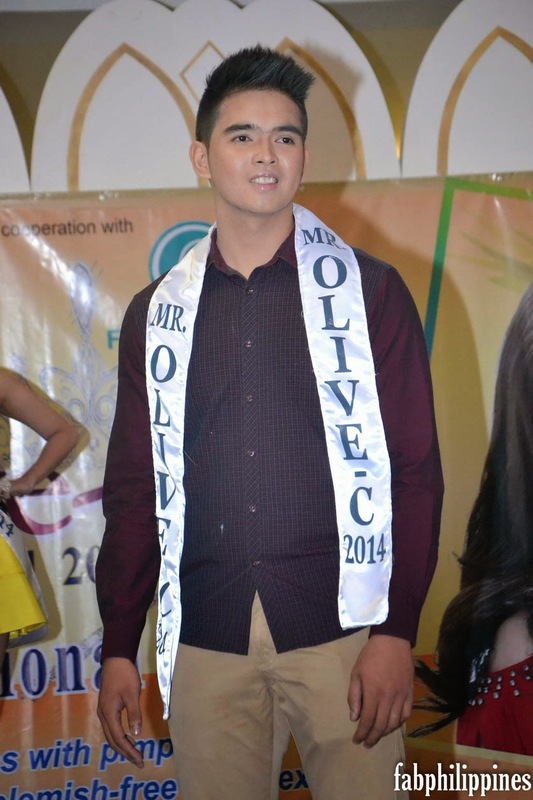 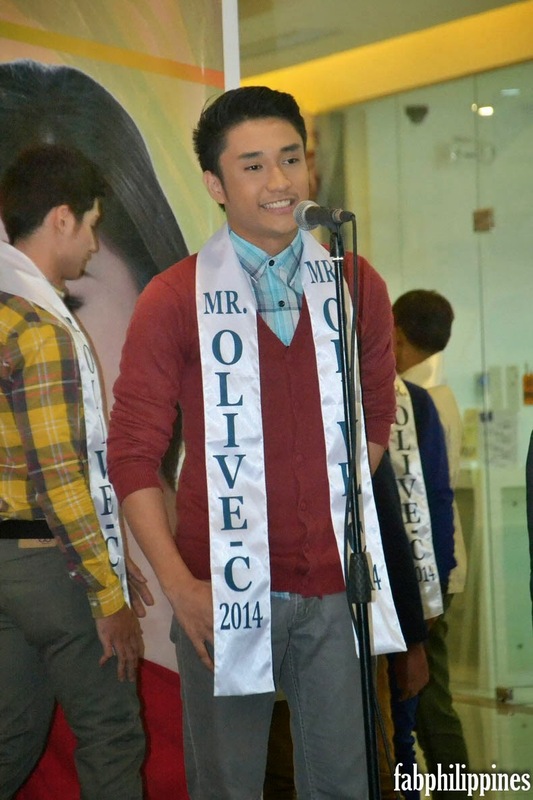 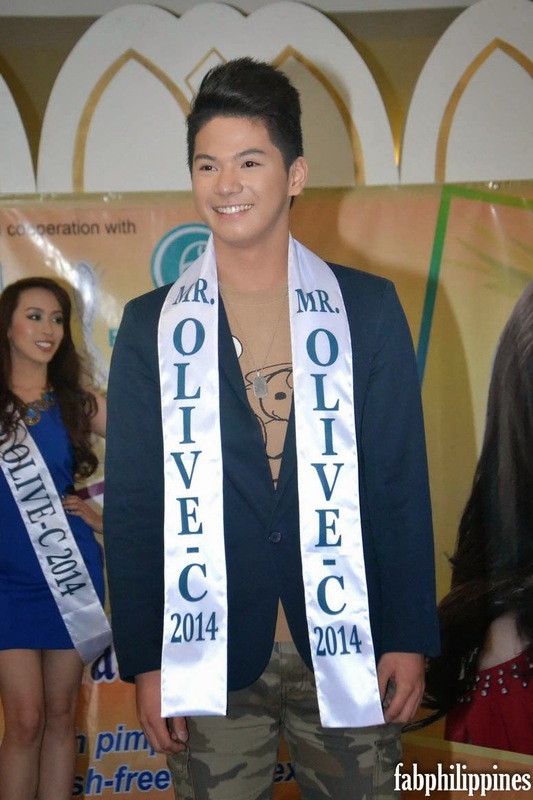 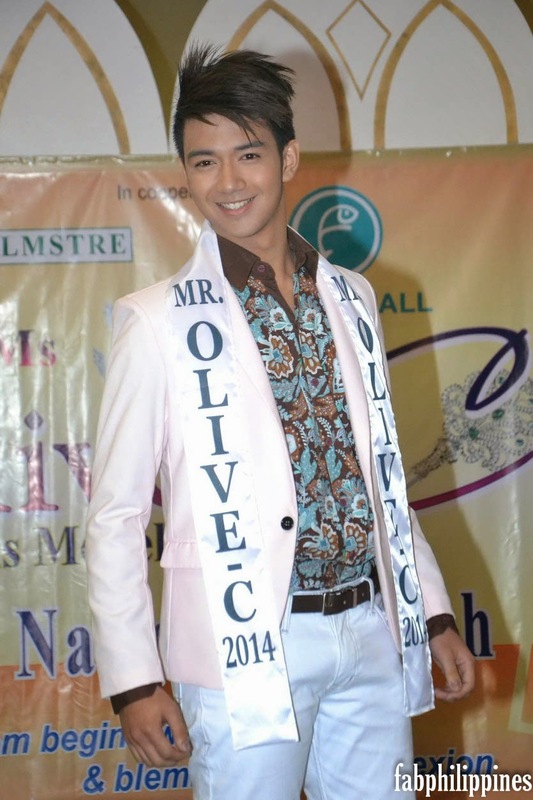 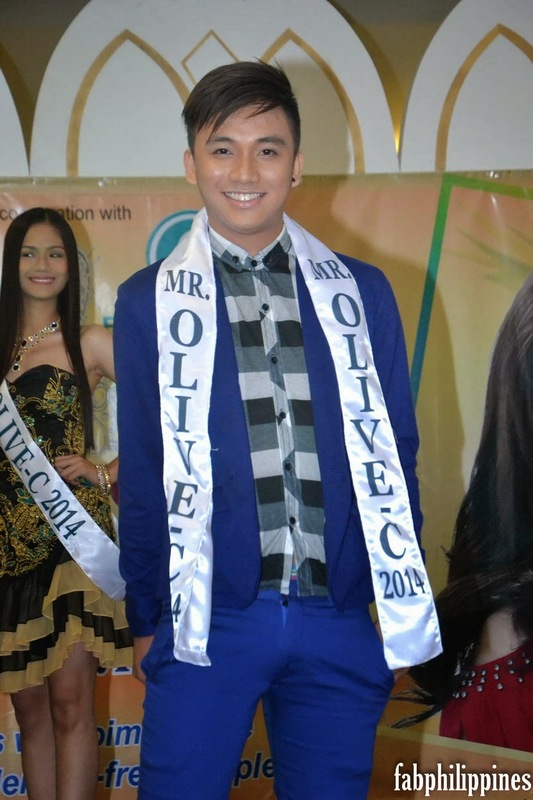 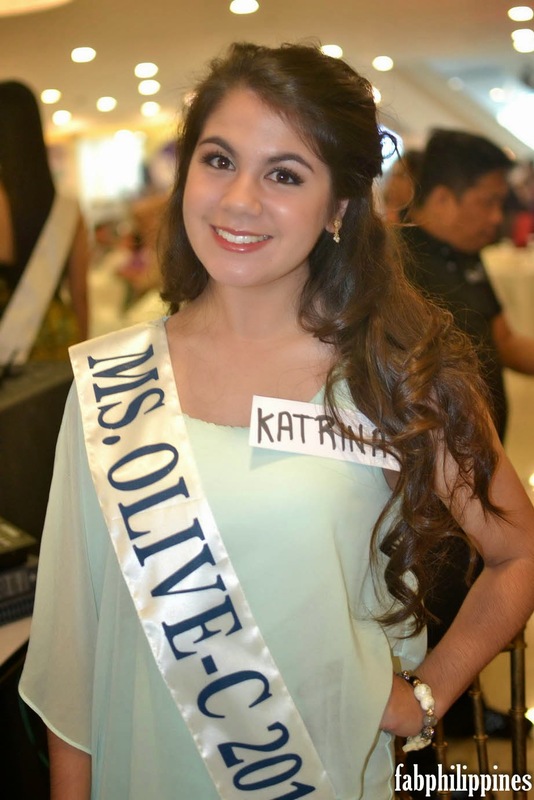 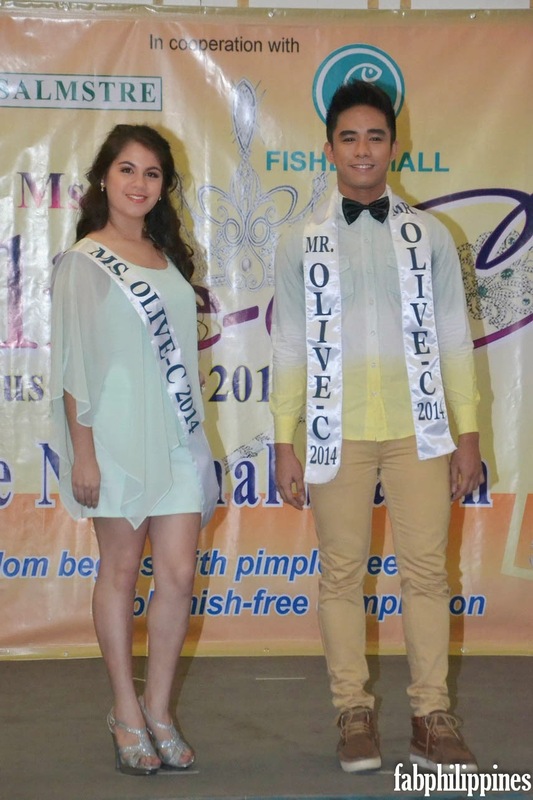 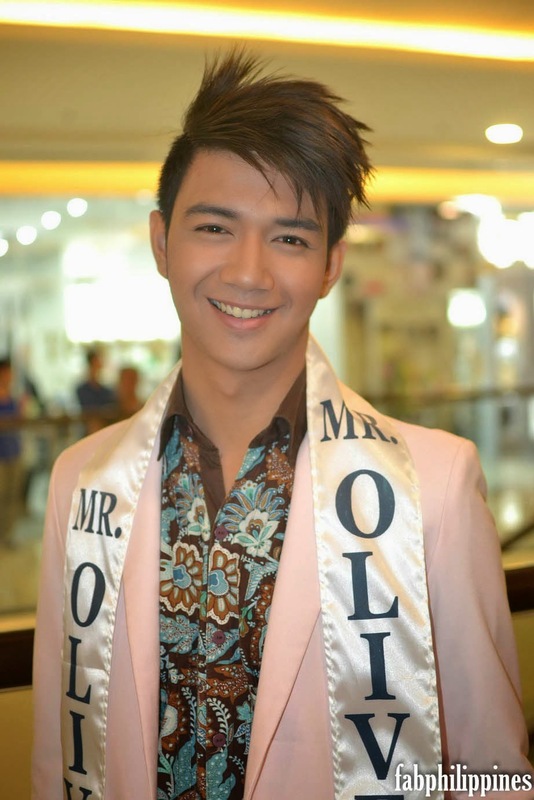 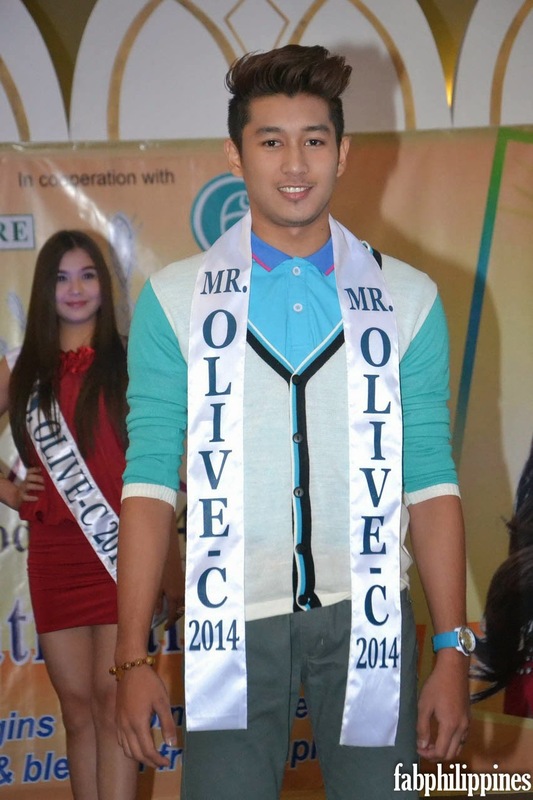 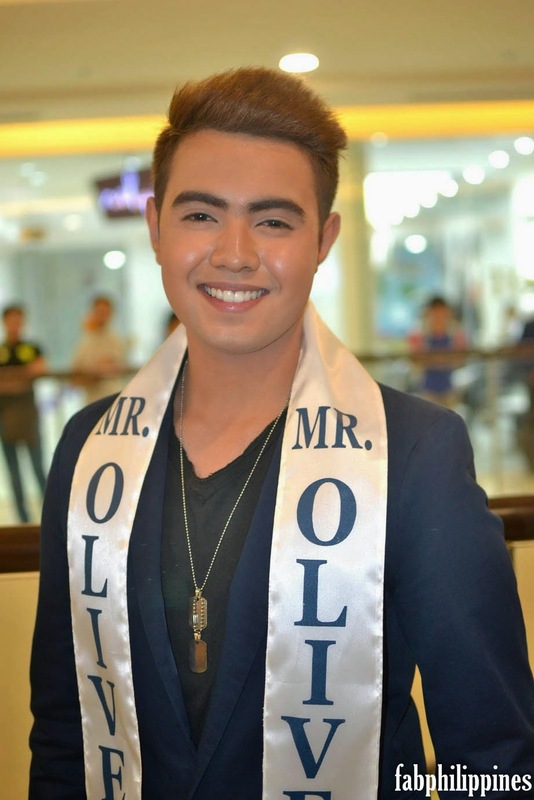 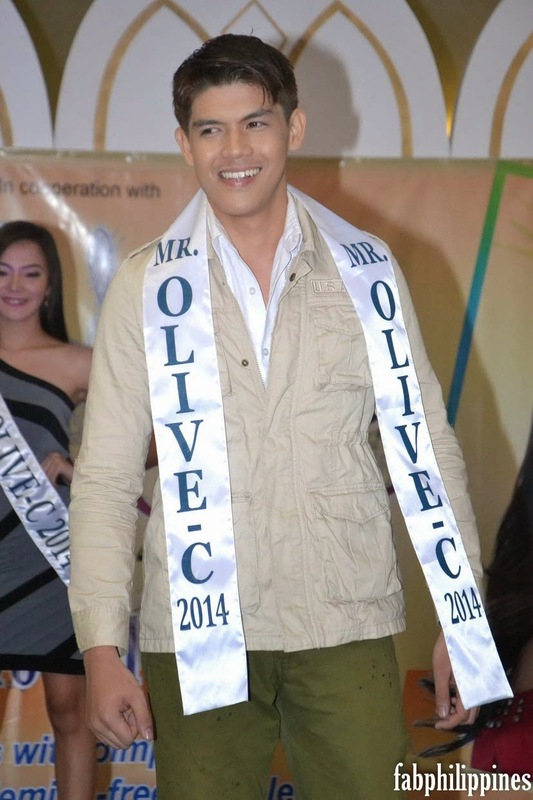 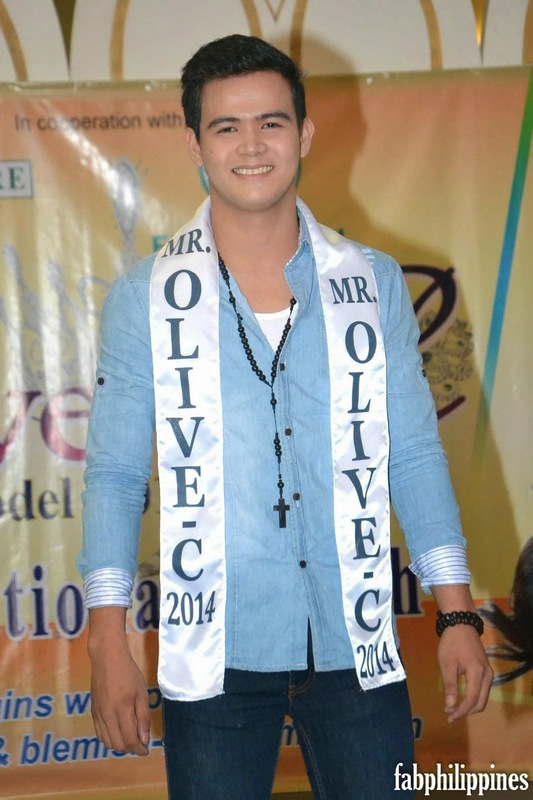 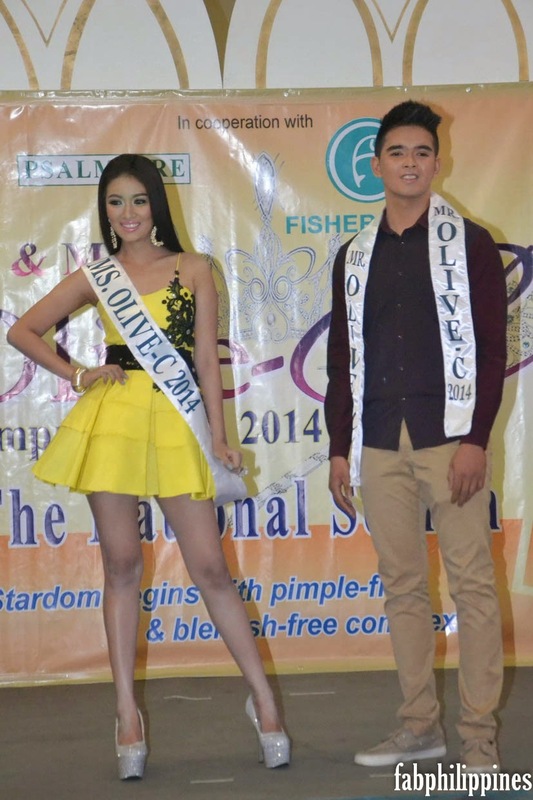 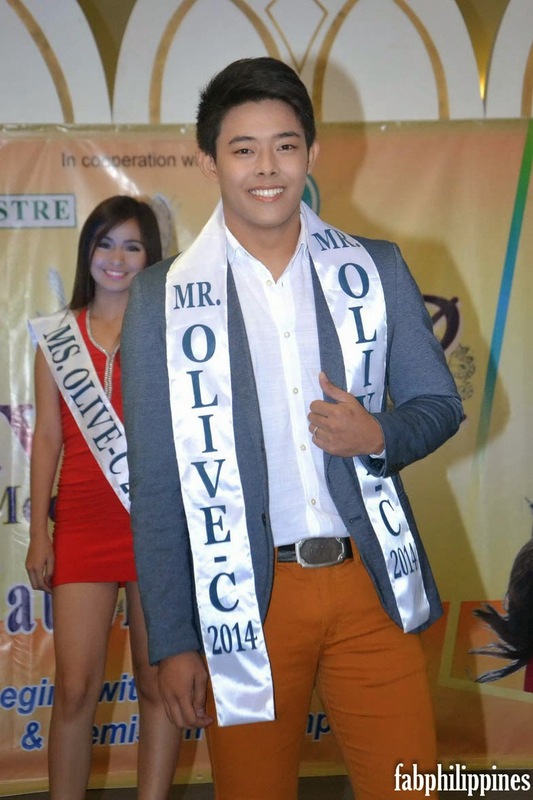 Mr. & Miss Olive-C is the only national pageant for teens that tours the whole country in search for the most promising male and female teens to be the next Olive-C Model Ambassador. 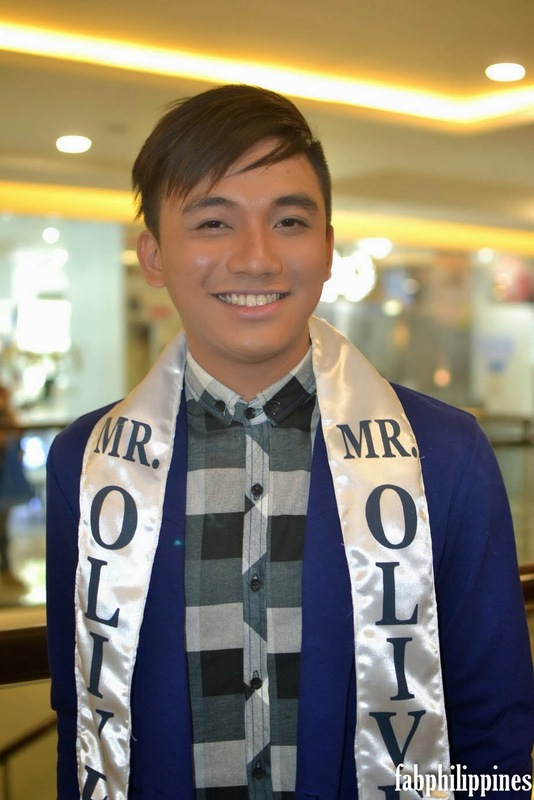 Regional Competitions were held in key cities like Cebu, Davao, Bacolod, Nueva Ecija and Rizal Province in looking for official candidates. 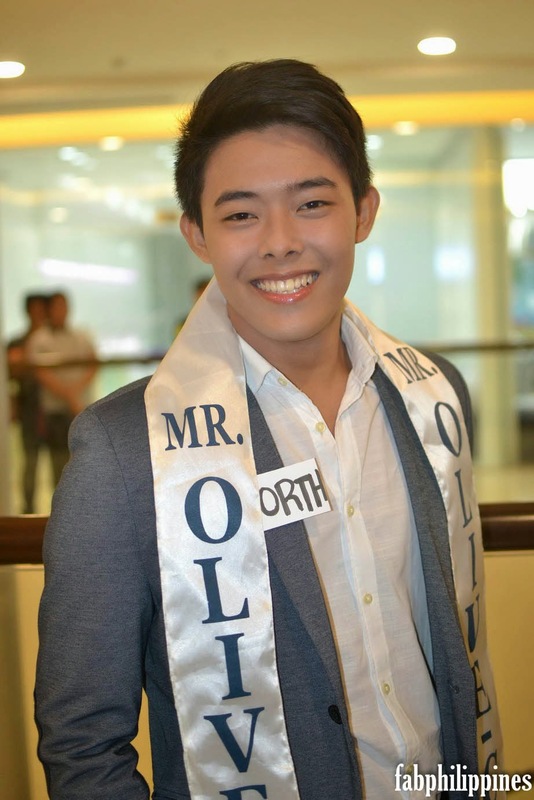 Most of those who were chosen came from some of the premiere universities and colleges in the country such as the University of the Philippines, UST, University of the East, Far Eastern University, Technological Institute of the Philippines, Arellano University, St. Paul College, Lyceum of the Philippines University, Polytechnic University of the Philippines to name a few. 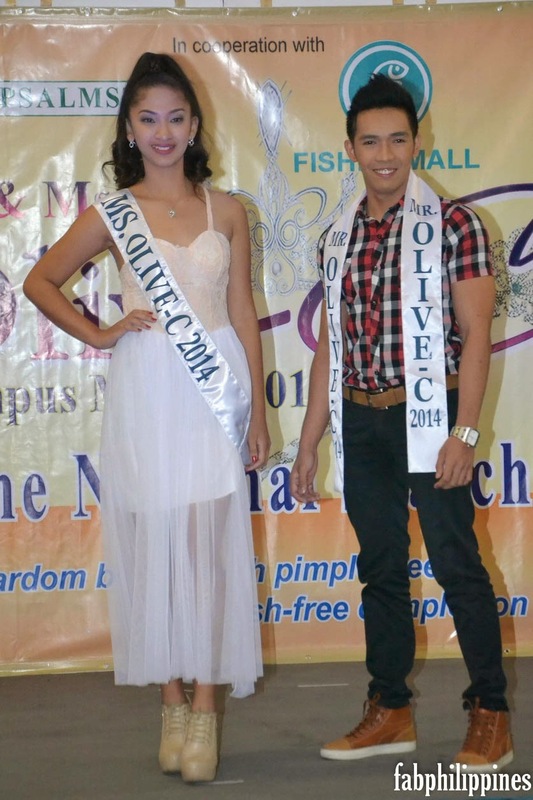 Now on its fourth year, Mr. & Miss Olive-C Campus Model Search has proven its track-record in giving opportunities to numerous young individuals to make it big in showbiz, modeling, and national pageant search. 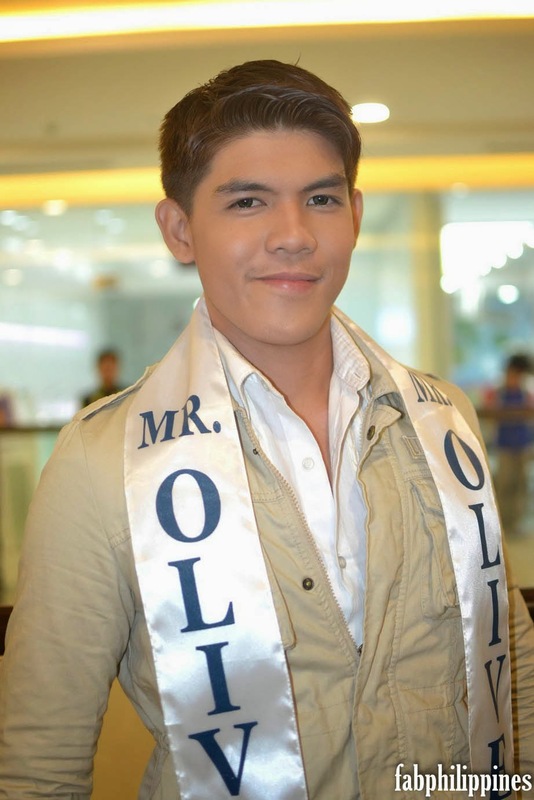 Successful alumni’s who have been making waves are teen star Hiro Magalona-Peralta of GMA-7, Miss Philippines Earth-Water 2011, Muriel Orais, ABS CBN and Star Magic Talent, Jon Lucas and 2013 Miss Supranational, Mutya Johanna Datul.